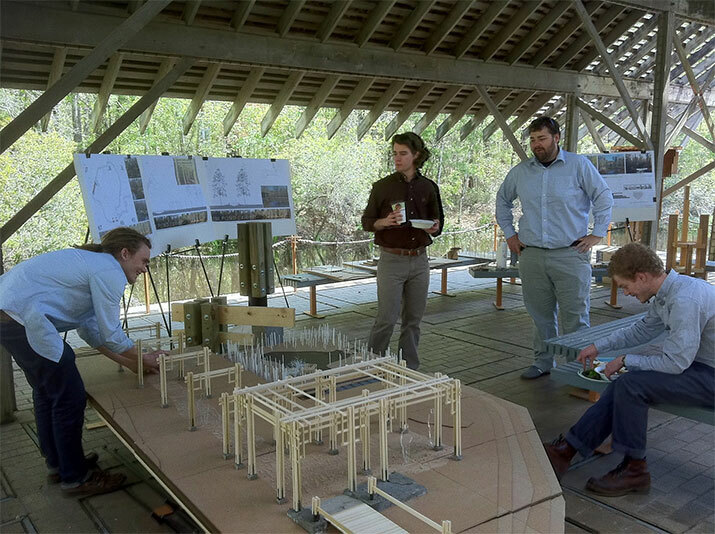 Duane Dietz and Karen Smith from Jones and Jones, Seattle joined Bob Brzuszek's graduate class to assist with a design charette for a Forested Stream Exhibit at the Crosby Arboretum, MSUES. For the semester-long project, students researched and learned about forested streams and their management. A $100,000 grant was awarded by the National Fish and Wildlife Foundation to construct the exhibit, which is scheduled to begin this year.